At the start of season 2012, the Amateur Footballer’s Division 3 correspondent was tipping Ivanhoe would not make the finals. Bad mistake. Under Cole’s coaching, the hungry Hoes almost swept all before them, as did the reserves under playing coach Steve Graeme, and the under 19s under Adam Wright. 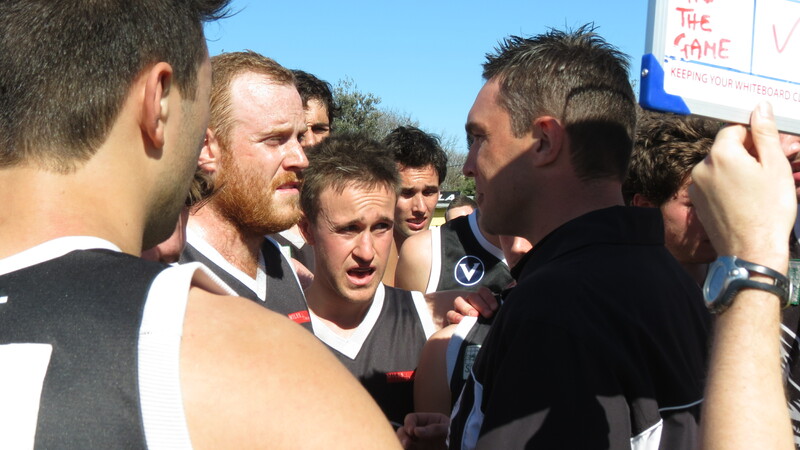 There had also been changes on committee – former Under 19s assistant coach Grant Mackenzie took on the club presidency. He had big boots to fill. 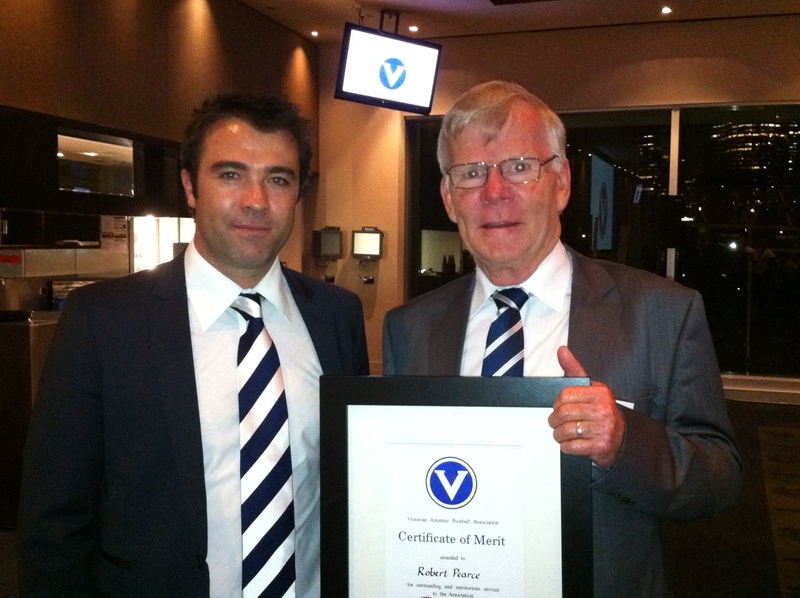 The indefatigable Rob Pearce was awarded a VAFA Certificate of Merit. His citation stated: ‘‘Has contributed to the Ivanhoe AFC for over 20 years and has held a number of committee positions over the years and still continues as a tireless worker for the club. Has held the office of president for seven years, 2000 to 2004 and 2008 to 2010 and secretary 1999. He has also been part of the general committee for all other seasons.’’ It didn’t mention that Pearce was still busy chasing up much-needed sponsorships and was also convenor of the club’s coterie group the Black & Whites, which was raising funds for a leadership program for our young players. Pearce became only the eighth Ivanhoe clubman to receive this top honour from the VAFA. Previous recipients are: Jack Blackwood (1976), Ida Marcon (1981), John Miles (1986), Harry Thomas (1987), Ken Hamilton (1998), Reg Miles (1999), and Don Blackwood (2001). By the halfway mark of 2012 season, the club had gained serious momentum. The seniors were second on the ladder behind Yarra Valley Old Boys, having lost just one game. The ressies were fourth, the under 19s were on top in North Division with a massive 292pc, and the clubbies were midfield. In the Winning Edge Club Championship, Ivanhoe was third overall behind Premier grade heavyweights Old Xaverians and St Kevins. Ivanhoe’s key forwards were also dominant on the sharpshooters table. Ash Close was leading in D3 with 59 goals after nine games, Marc Brazzale was third in the ressies with 30, Jai Swainger was on top in the 19s with 42, and Tim Sheehan was coming second in the Clubbies with 32. The D3 correspondent watched Ivanhoe demolish Richmond Centrals and finally worked out why Close was being called The Moose. 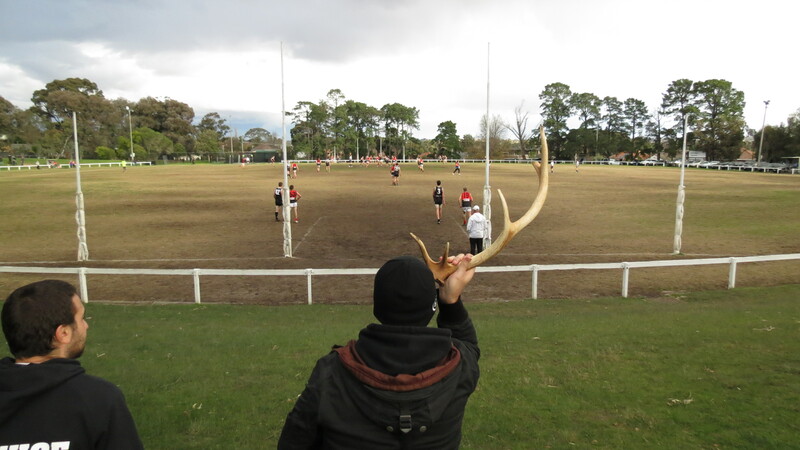 The antlers came out again when Close bagged another 10 goals in round 10 against Aquinas. 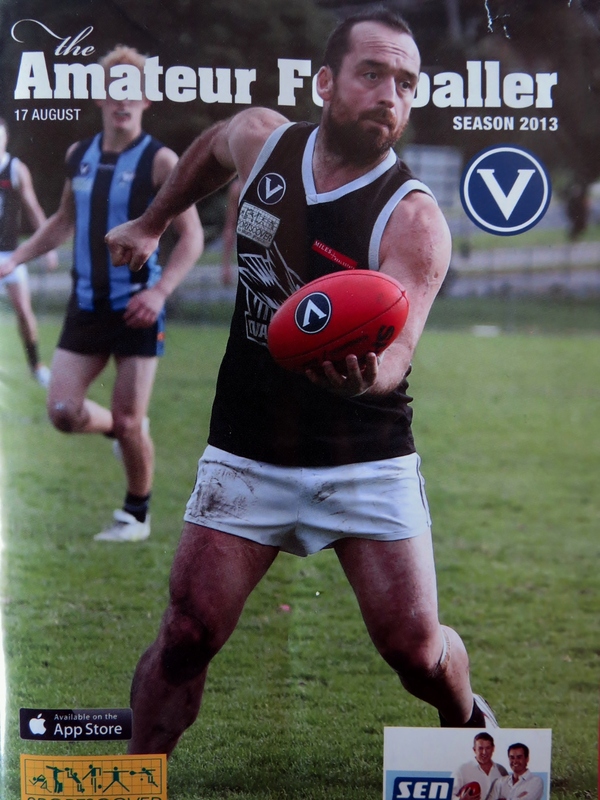 It had been about 15 years since an Ivanhoe player (Peter Flynn) had graced the cover of the Amateur Footballer. Close was nearing his 100th goal when he featured on the cover on August 11, having booted seven goals in a 147-point thrashing of Old Westbourne the weekend before. A full-page action photo of vice-captain Reece Cotter was also splashed across page 2. Close got his ton in round 16 on a mud-heap at Kew, but the Hoes lost by two goals, reigniting an old district rivalry that resumed in 2014. 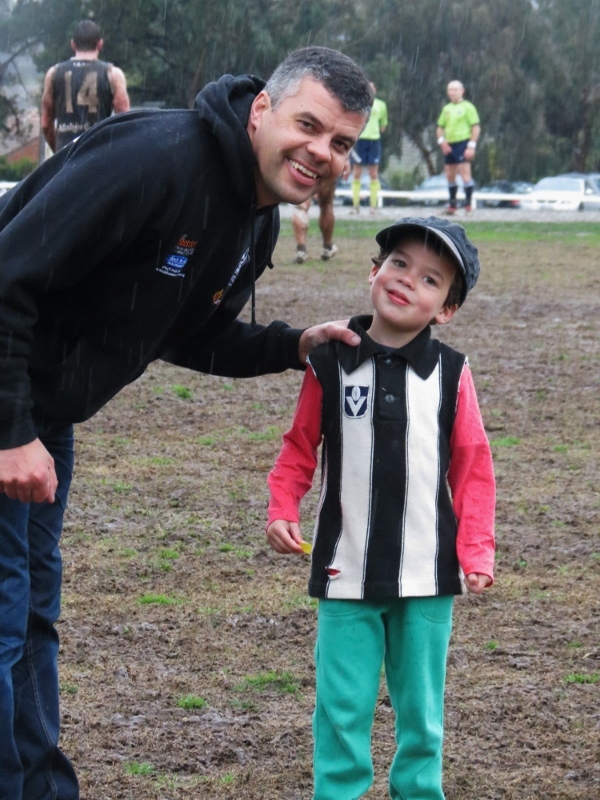 Phil Skeggs’ video footage of Close’s 100th goal featured on VAFA TV, which dubbed Ivanhoe the most fun club in the Ammos after a mid-season visit. By the end of the home-and-away season Ivanhoe finished third in the VAFA club championship just behind Old Xaverians and Collegians. The seniors finished second behind Yarra Valley. 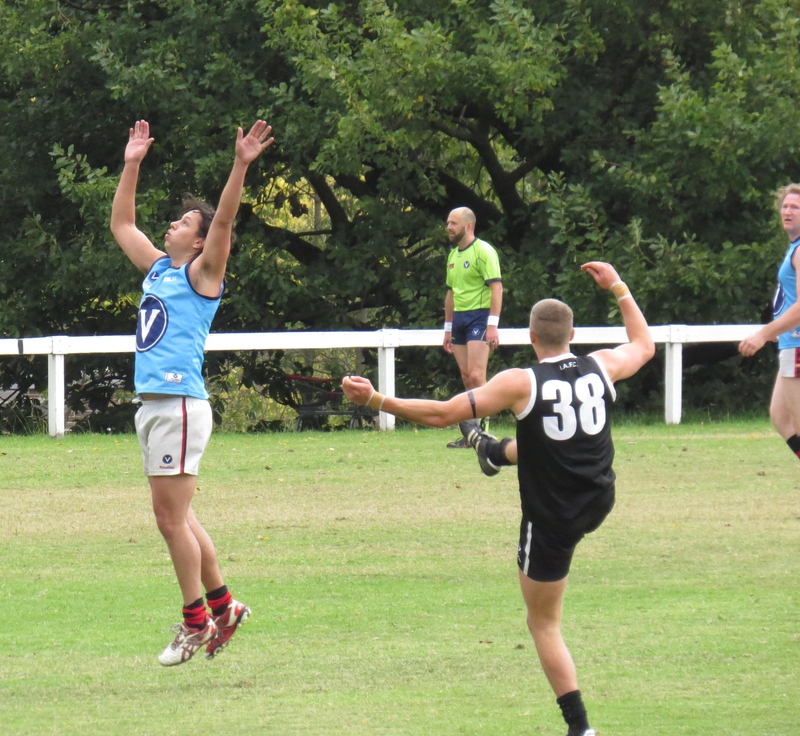 The reserves were third, the 19s on top, while Club XVIII finished seventh. The plaudits and honours kept coming. Close was the top goal kicker in D3 with 104 goals, Swainger won the Under 19 North award with 56. Four senior players made the D3 Team of the Year: Close (FF), Chris Kingsford (wing), captain Paul Harris (centre) and ruckman Ryan Fort (interchange). Six under 19s made the North division Team of the Year: Will Cuthbert (BP), Alex Purtell (FB), Zac Mowat (centre), Charlie Robinson (wing), Swainger (CHF), Danny Plowman (ruck). And on the eve of the second semi-final against Yarra Valley, midfield general Paul Harris won the competition best-and-fairest award, the Peter Hutchinson Medal, with 26 votes. Not bad for a 33-year-old. The finals produced some of the most exciting football in recent times, but finished in disappointment. The seniors and reserves both won ripping finals at Bill Lawry Oval, Northcote. 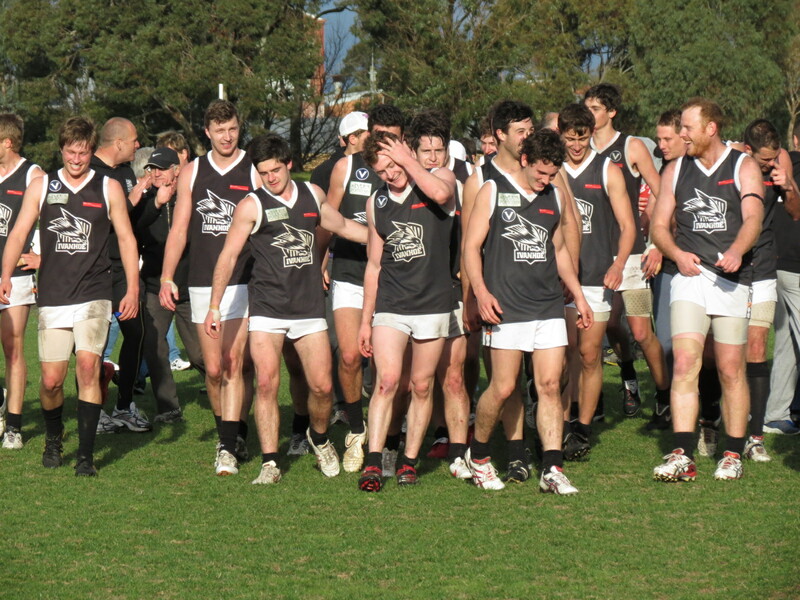 The seniors beat UHS-VU by 46 points in the first semi, the reserves beat hot favourites Kew by a point. The seniors then shocked Yarra Valley to win by a goal in the second semi, while the reserves beat Yarra Valley by nine points. The club had earned a week off, but the rest and change of finals venue probably didn’t help us. In the same week that former Ivanhoe champion full-forward Haydn ‘Royce’ Hughes passed away at age 60, both teams finished runners up to Yarra Valley in grand finals played at Sandringham. The seniors went down by 83 points, 19.20 (134) to 7.9 (51). The under 19s went out in straight sets, losing by 8 points in a thriller to Williamstown CYMS in the second semi, and then the preliminary final to Old Geelong. At the club’s vote count night, Paul Harris picked up his third club B&F award, Ash Close was second, and Justin Harty finished third in his first senior season. 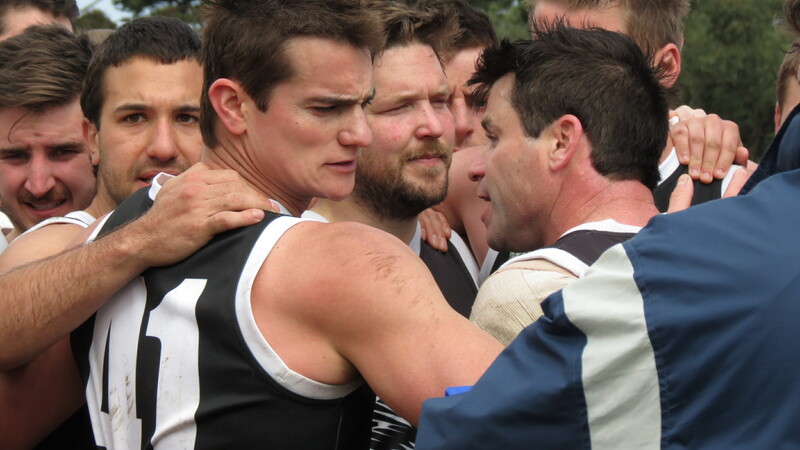 Season 2013 saw all coaches reappointed, with the exception that senior assistant coach Steve McCrystal had stepped down and been replaced by Theo Vlahos. The Club 18 team was disbanded. It proved to be a tough slog in D2 section. Ash Close was only available every second week due to work commitments with Collingwood FC. Other senior players were unavailable due to travel and work commitments. Injuries were also a significant factor. The only team to make finals was the under 19s, which was another promising sign for the senior’s future. 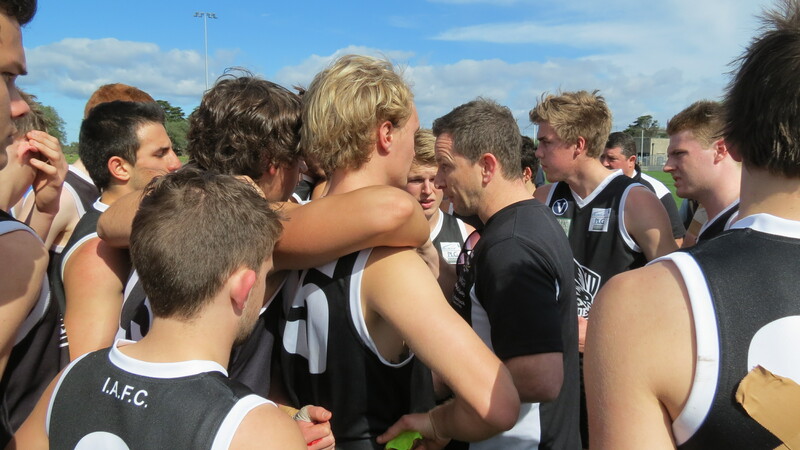 The 19s had some big wins, including a 202-point flogging of Old Paradians in round 3. A future star was also emerging in the 19s forward line – Keke Blackmore-Moore. Senior coach Cole took the opportunity to blood a handful of these talented youngsters during the season. 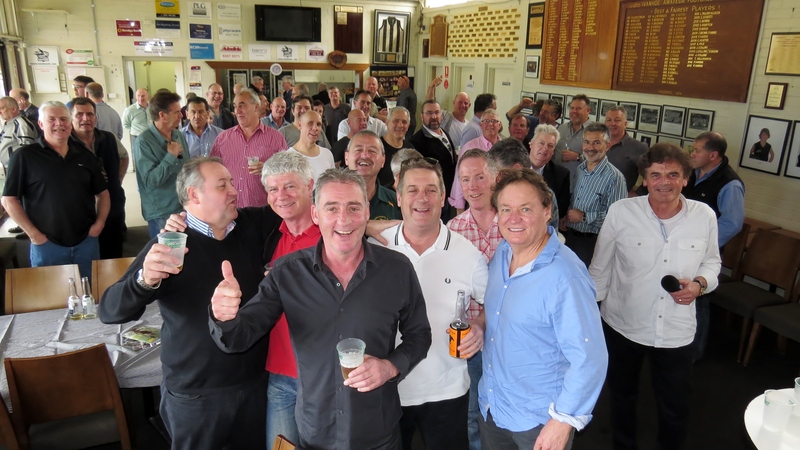 One of the off-field highlights that season was a packed Black &White’s luncheon with Test cricket legend Merv Hughes as guest speaker in round 8. 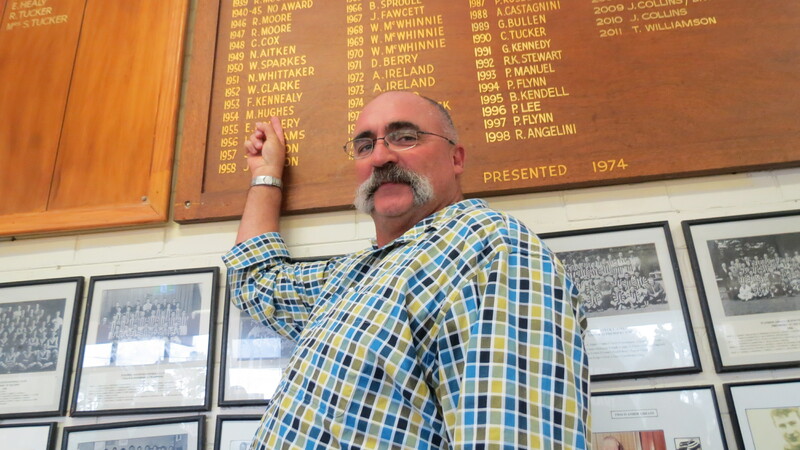 Merv’s uncle and namesake Merv Hughes had played fullback for the Hoes in the 1950s. He captained the seniors to the 1954 B grade flag and the 1956 A grade flag. He was also club B&F in 1954. Merv’s father Ian and another uncle, Malcolm, also played under 19s at Ivanhoe in 1951. 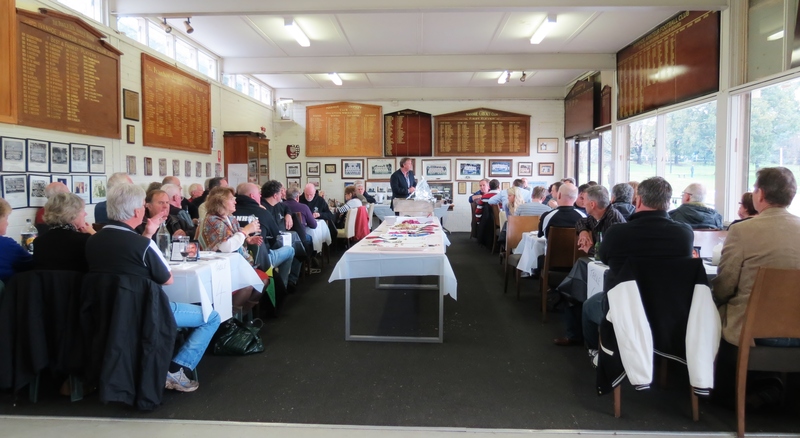 The other guest speaker was VAFA CEO Michael Sholly. 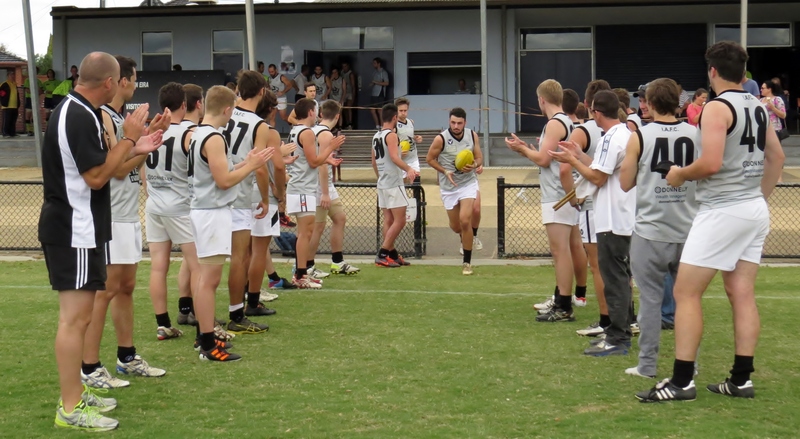 Their combined presence may have impressed the seniors because they recorded one of their best wins that day in round 8, beating St Leo’s Emmaus by 43 points. Midway into the season, the seniors were in sixth spot with four wins and five losses. The ressies were third, and the 19s were also third. Keke Blackmoore-Moore was on top of the Under 19s North goal kicking table with 47. Another key win that helped keep the seniors’ season alive that year was a come-from-behind win by 3 points over South Melbourne in round 9. Towards the end of the season, we were in a desperate fight to avoid relegation. The reserves had also dropped out of the race for a finals spots. On a brighter note, captain Paul Harris made the cover of the Amateur Footballer on August 17 and was later named as ruck-rover in the D2 Team of the Year. Chris Kingsford’s full-page photo also appeared in the same edition. 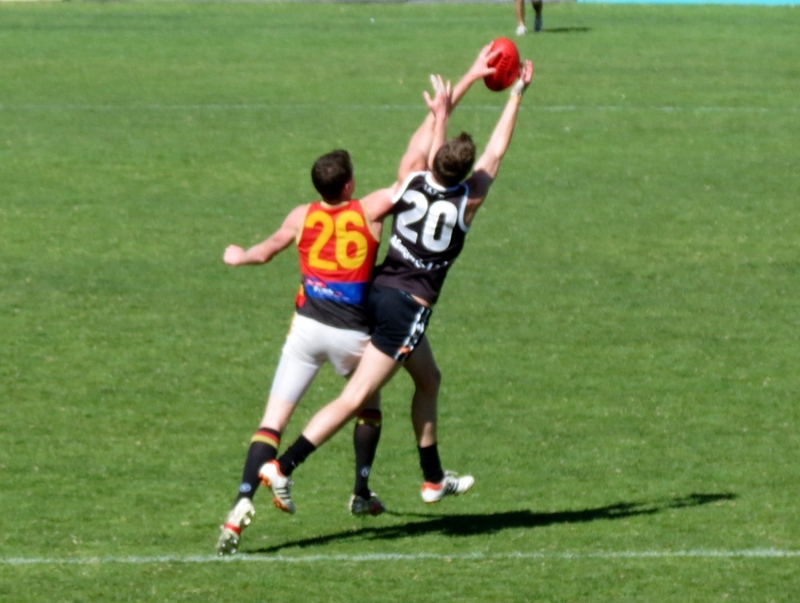 It was also announced that Ash Close had been selected in the VAFA team to play four matches of International Rules against Gaelic Football teams in Ireland in October. 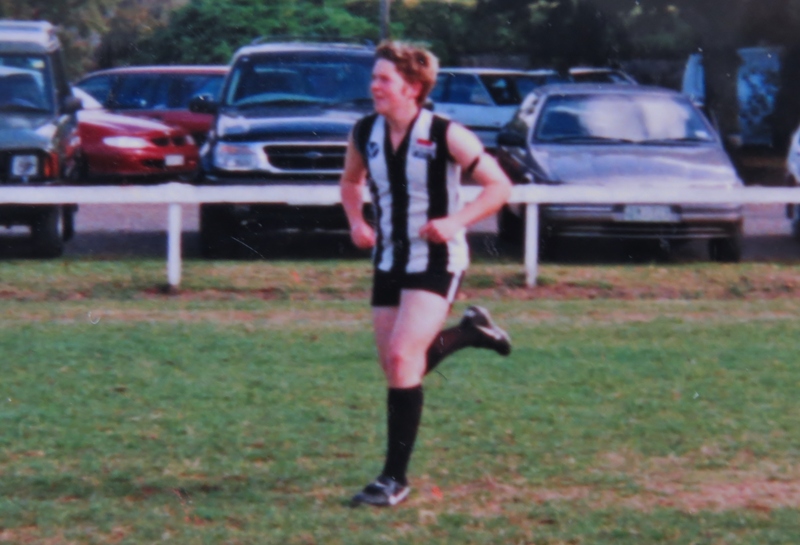 It had been 12 years since an Ivanhoe player had been chosen to represent the VAFA. He became the 57th Ivanhoe player to pull on the Big V.
A 4-point loss to South Melbourne in round 16 saw the Hoes locked in a grim battle to avoid relegation with second-bottom side Monash Gryphons the following week. The Hoes played out of their skins in the second half, turning around a 5-goal deficit at half-time to win by 16 points. It gave us a win and valuable percentage over Monash. In the final round, Monash lost their chance to overtake us on the ladder when they lost to bottom side St Leo’s Emmaus. The under 19s finished second on the ladder and Keke Blackmore-Moore, who had been playing seniors in the back half of the season, came third in the goalkicking with 49. 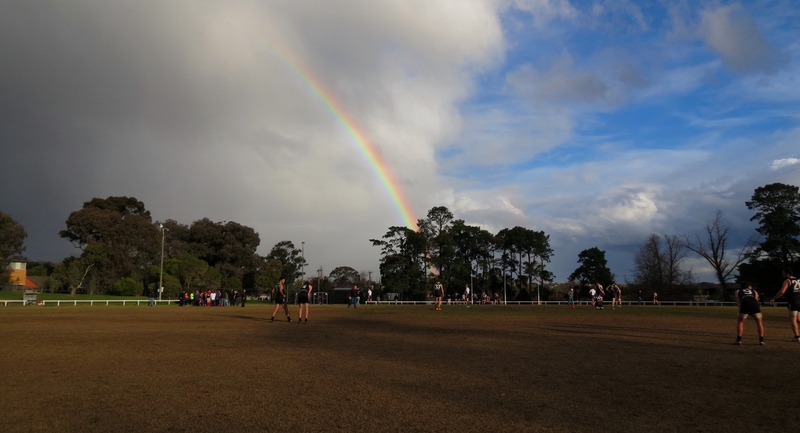 The 19s subsequently lost their semi-final to Old Ivanhoe by 9 points at Chelsworth Park and the preliminary final to St Mary’s Salesian by 31 points at Bill Lawry Oval on September 7. Senior coach Cole stepped down at season’s end, as did reserves coaches Steve Graeme and David Neilson, and 19s coach Adam Wright. Cole was later bestowed life membership. Captain Paul Harris became the first player to win a fourth club B&F award. He also got the senior coaching job in 2014. He appointed former teammates Adam McBrien, Ben Galloway and Matt Joyce as his assistants. Wright’s assistant coach Bill Emerson was appointed under 19s coach, and former senior player Leighton Pearce took on the assistant’s role. The new reserves coach was none other than club games record holder Peter Rawley. His deputy was Luke Vaughan, son of 1961 seniors B&F Ken Vaughan. 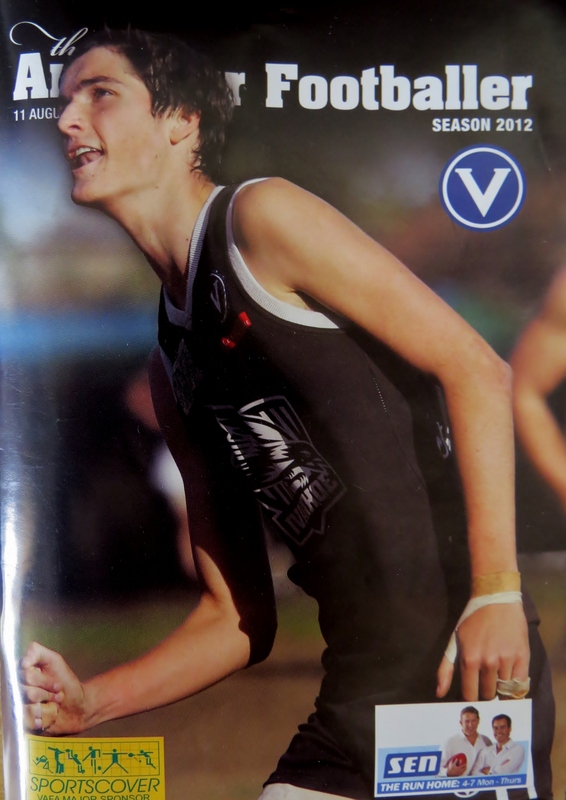 Season 2014 was a coming of age for many younger Ivanhoe players, especially those who had been blooded at senior level in 2013 while in the under 19s. The departure of Ash Close to Morwell was offset by the rise of a new young gun in Mitch Lovell. 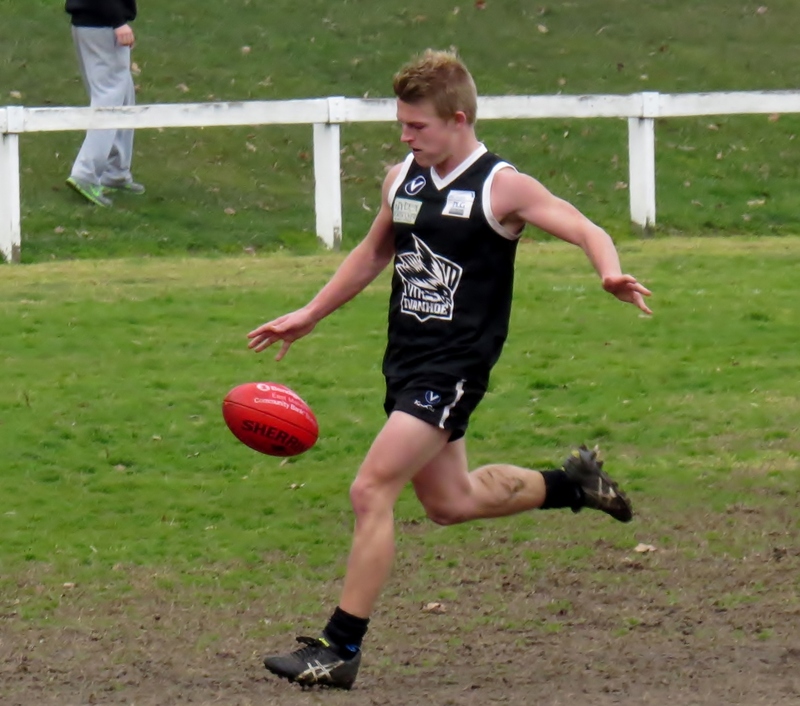 Lovell had played his juniors at Ivanhoe before being called upon to play TAC Cup with Northern Knights. He had an immediate impact when he returned to play as a key forward in the Ivanhoe seniors in the back half of 2012 season. After a consistent 2013 season, he was rewarded with the senior club captaincy. At age 20, Lovell was the youngest-ever captain in the club’s history. Keke Blackmore-Moore impressed early on with a six-goal haul against Elsternwick in round 3. The seniors got into the top four, but it proved to be much harder to stay in there. 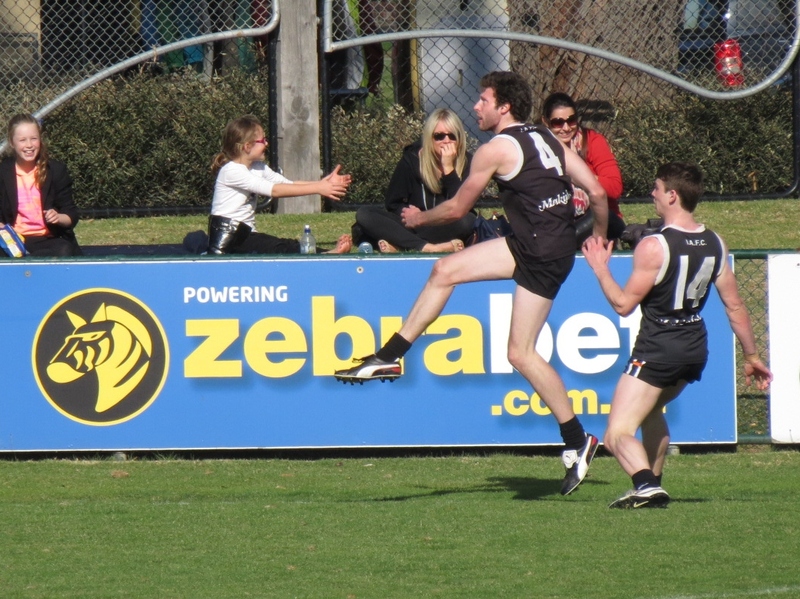 The form side was local rivals Kew and they won the first encounter in round 4 by 26 points. 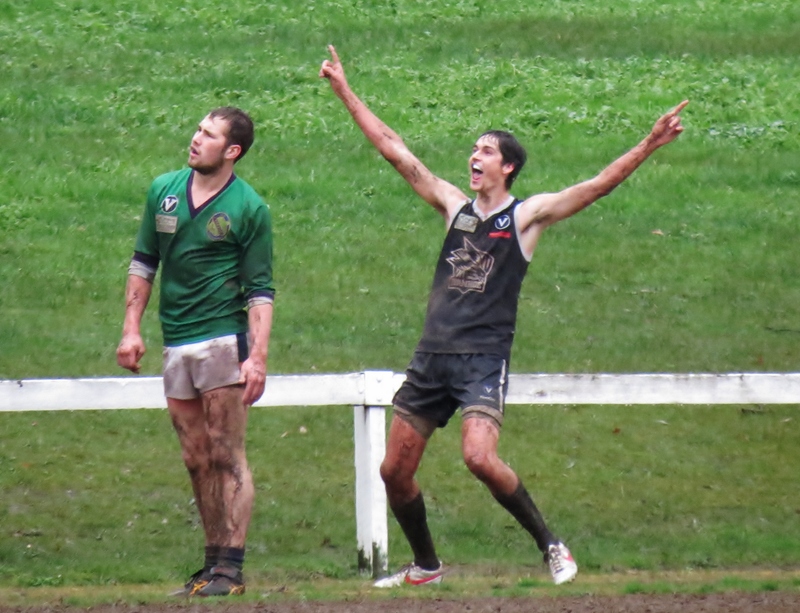 It is also worth noting that in round 3 against Elsternwick at Ivanhoe Park the reserves celebrated what is believed to have been an all-time club record score of 35.19 (229) to 1.0 (6). There were 13 goal kickers for the Hoes, including veteran James `Rowdy’ Scoble who had played over 200 club games and was in his final season. There were several players with senior experience enjoying that 223-point win, but it was also an affirmation of the club’s solid player depth. Several players recorded individual milestones in 2014. Baz Conley’s 200th game was the most significant. Baz had been the first Assumption old boy to join Ivanhoe during the alliance with the Kilmore school in 1999. For this reason, he usually wore the No.1 jumper. 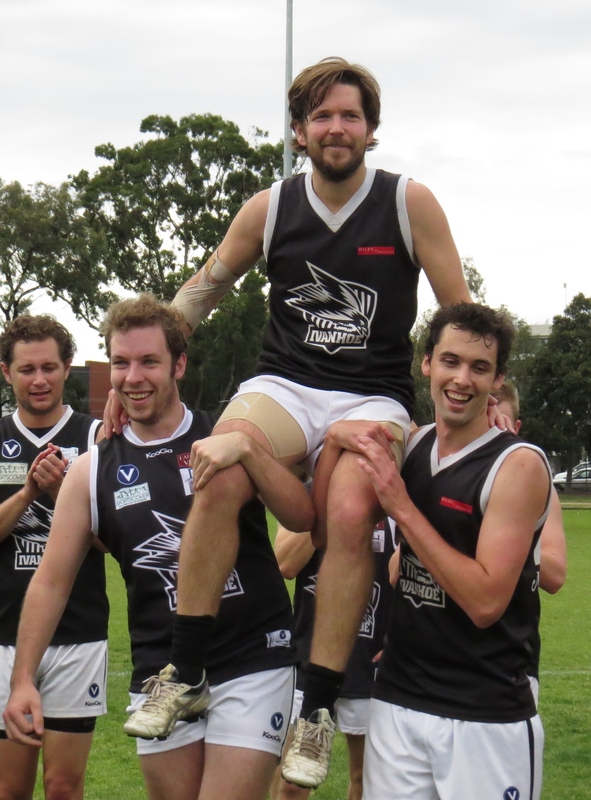 On May 17 against Monash Gryphons, Conley celebrated his 200th club game with a 63-point win in the reserves. ‘Bazza’ in his very early days at the club! 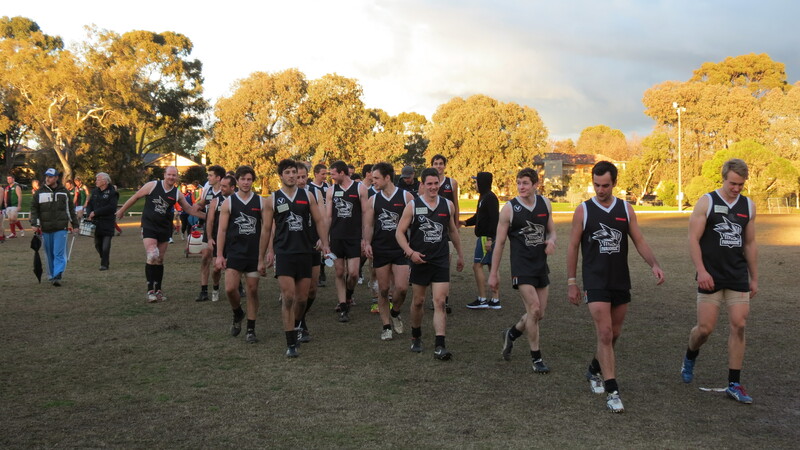 By the halfway mark, the seniors were fifth with 5 wins and 4 losses, the reserves were second with seven wins, and the under 19s were on top having lost just one game. Ivanhoe was again prominent in the club championship, sitting third behind Uni Blues and St Bernards. There were no stand-out goal kickers, but Lovell would soon hit his straps after overcoming an early injury setback. 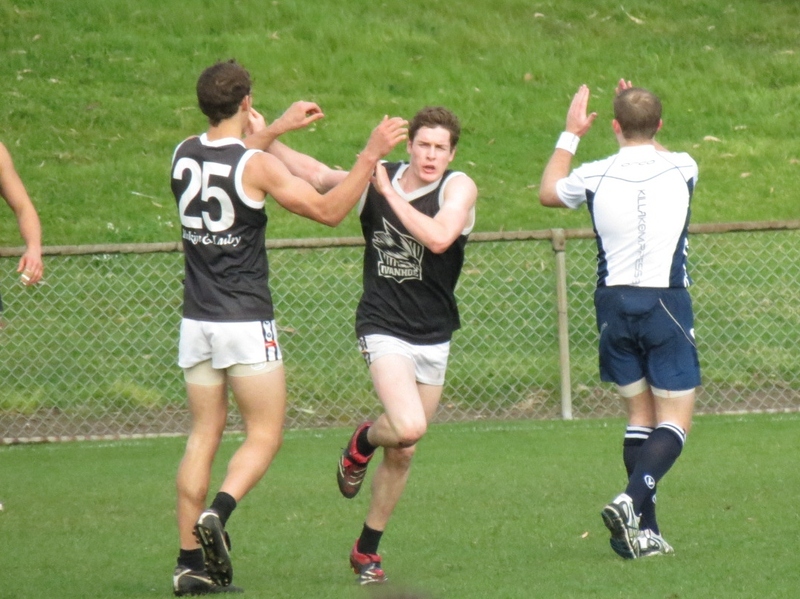 Ivanhoe’s firepower was on display against Monash Gryphons* in round 13 when we had 10 goal kickers. Lovell topped the list with seven goals, Blackmore-Moore was best afield with four goals. (* Monash was given a reprieve from relegation to D3 at the end of 2013 after a couple of clubs dropped out of the lower grades, forcing a rejig in the D section grades). After a disappointing loss to second side St Mary’s Salesian in round 14, Ivanhoe needed a win over top side Kew to keep our finals hopes alive. And it very nearly happened. The game at Ivanhoe Park was an arm-wrestle all day, but the Hoes looked to have the upper hand in the final quarter. With seconds remaining, Kew scored a point that tied the scores at 8.10 apiece. At season’s end, that draw was the difference between fourth and fifth spot. And Kew went on to win the grand final. Lovell was best afield with four goals against Kew. He personally outscored South Melbourne the next week, top scoring with five goals in a 67-point win. The Bloods managed just 3.10. After eight goals in round 17 and five in round 18, Lovell finished fourth in the D2 goal kicking with 51. The seniors finished fifth, half a game and percentage outside the top four. 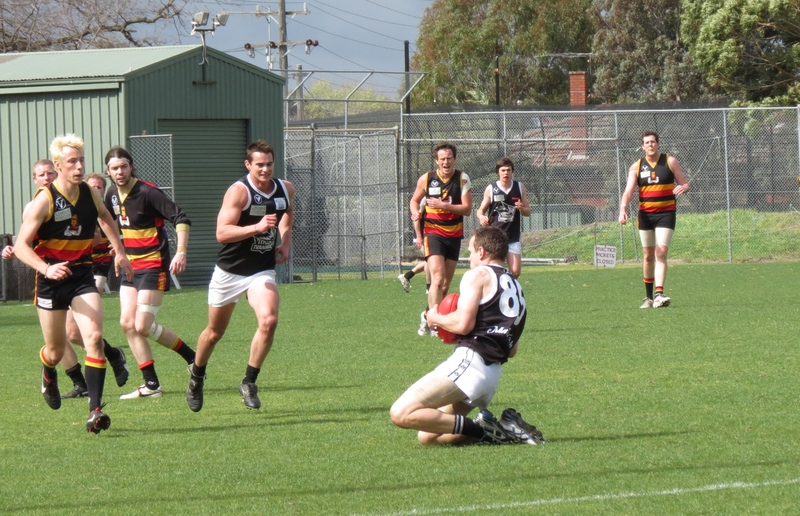 The reserves finished in fourth spot and made it to the grand final, losing to St Mary’s Salesian by 28 points. Their finals wins over Old Eltham and Kew were memorable and coach Rawley had a lot to be proud of. Lovell was one of three Ivanhoe players to be named in the D2 Team of the Year, slotting in on the half-forward flank. The others were Tom O’Donnell (BP) and Chris Kingsford (wing). He was also named club best-and-fairest in a tight vote count, just edging out an ultra-consistent Chris Kingsford. In the under 19s, four players were named in the Team of the Year. They were Mitch Rees (wing), Reuben Blackmore-Moore (HFF), vice-captain Will Emerson (FP), and David Ioannou (Interchange). Reuben Blackmore-Moore, who also played three senior games, finished third in the North division goal kicking with 37 goals at the end of the home-and-away season. The biggest honour went to under 19s co-captain Danny Jones, who was equal winner in the North division best-and-fairest. Jones had to share the medal with three others, but would have almost certainly won it outright had he not been called up for senior duties in five games. Premiership captain, League Best & Fairest and BOG in a Grand Final, nice work Danny! 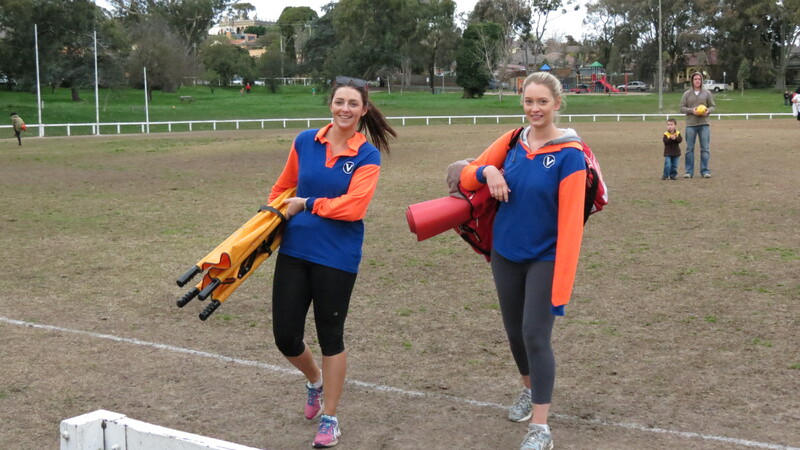 The Hoes were sixth in the VAFA club championships – not a bad effort when we were without a Club 18 side. Bill Emerson’s under 19s were the pride of Ivanhoe Park in September. They had finished on top with 17 wins and one loss, five games clear of second side St Bernards. They defeated St Bernards by 10 goals in the semi-final, 12.21 to 5.3. 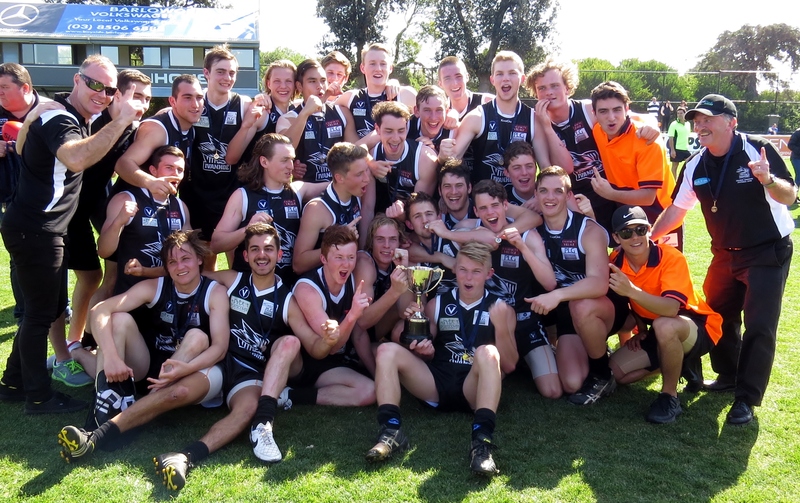 And in the grand final at Trevor Barker in Sandringham on a sunny September 14, the under 19s broke the club’s premiership drought by beating St Bernards again, this time by 35 points, 7.14 to 2.9. Danny Jones collected the Peter Harris Medal as the best player in the grand final. The Under 19s celebrate being Premiers! It had taken 27 years – the club’s previous premiership season was 1987 when the under 19s and reserves both won flags. 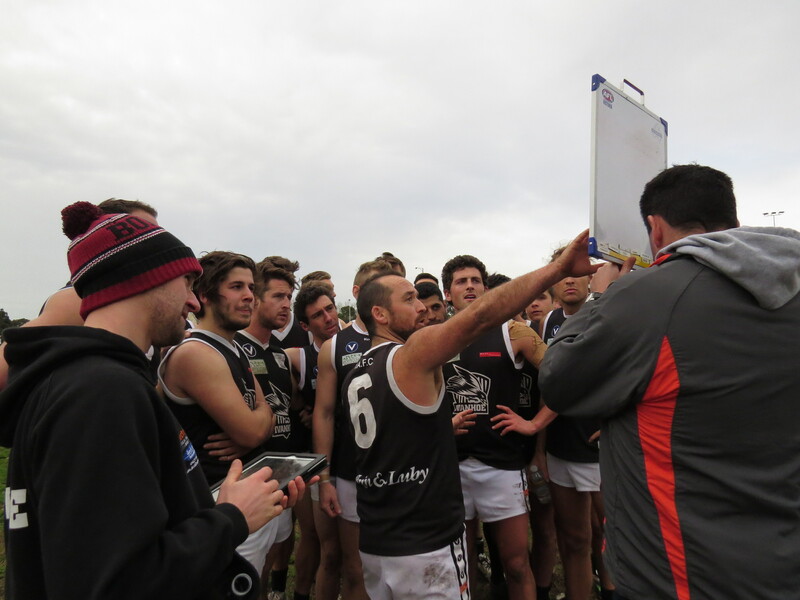 This premiership is viewed by the club as the start of a bright new era for Ivanhoe AFC. Going into season 2015, the senior coaching panel under Paul Harris was reappointed. Bill Emerson was made reserves coach. Past player Matt Franich has the job as under 19s coach. Grant Mackenzie stepped down as club president along with vice-president David Neilson, secretary Howard Neilson and committee member Kate McKendrick. The new president Luke Blackwood is a past player and third-generation club administrator. His father Don Blackwood is a past president, and grandfather Jack Blackwood was a long-serving secretary and committeeman. Ross Toogood became vice-president and Jane Homewood was appointed secretary.